8 Sessions. Laity meet one Saturday morning a month. Pastors meet one Thursday afternoon a month. 8 Sessions. Laity and pastors meet together one Sunday evening a month. 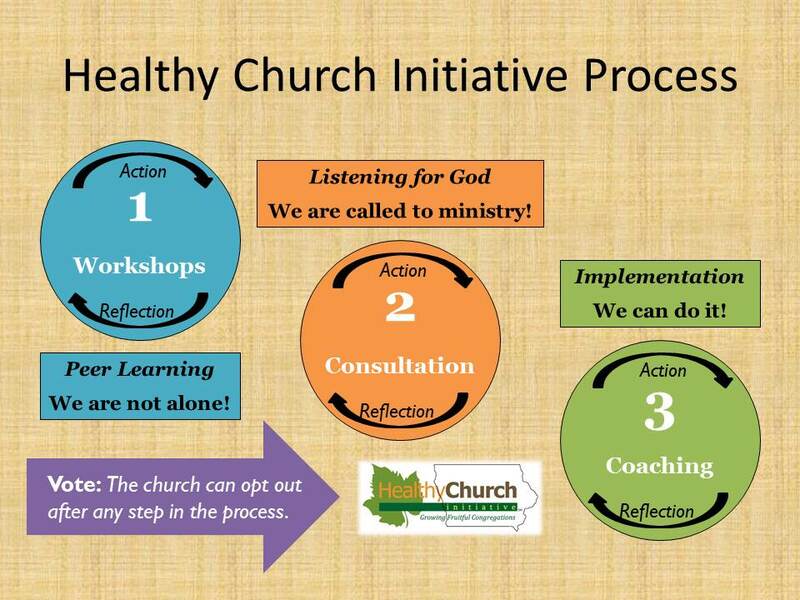 Peer Learning Groups for Churches that Have Completed Their Consultation And Want to Go Deeper in Specific, Self-Selected Areas. Note that the only cost for these peer groups is for the books and travel, and the district is typically able to give book scholarships to all participating churches to offset the cost of participation.